Haylee Kasner, a seven year old from Belton, Texas had an incredible birthday wish. Instead of asking for presents, she wanted to be able to PROVIDE presents to kids at the hospital instead. Miss Haylee created an Extra Life page to receive donations and raised $330.00 to help kids in the hospital! 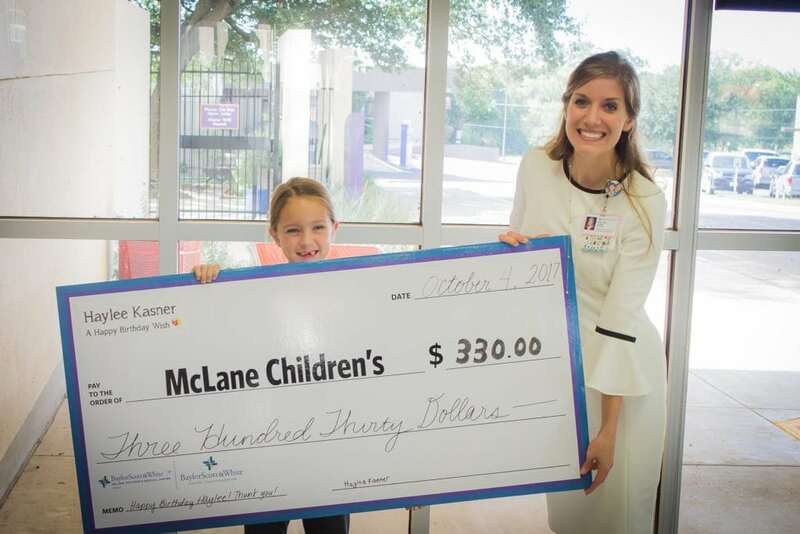 McLane Children’s thanks you Haylee! What an amazing thing to do for others! We are so very proud of you!